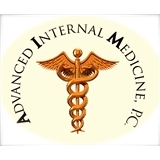 ADVANCED INTERNAL MEDICINE, P.C. (Great Neck) - Book Appointment Online! Interested and involved in treatment of hypertension, diabetes, thyroid disorders, cholesterol disorders, cardiac conditions, gastroenterology disorders, psychiatric conditions, addiction detoxification and maintenance, weight loss, obesity, neurological disorders, skin conditions, aging, pulmonary conditions, allergy, arthritis, rheumatological disorders, muskuloskeletal disorders, hormone replacement therapy, pain management, acute and chronic conditions, etc. Dr. Shamekh is fantastic! Wish I had come here sooner. I highly recommend him. He was thorough and answered all my questions for my annual physical. His staff is very friendly and professional, and I will definitely be coming back to him for my future medical needs!